The knee airbag, also known as the knee bolster, was designed to reduce the lower limb loads on impact. Although limb injuries are not fatal the knee airbag has proven to reduce severe injuries to the lower extremities on impact with the dash board. Although, knee airbags are found mostly on high end luxury models they are slowly becoming common place on some mid level models as well. 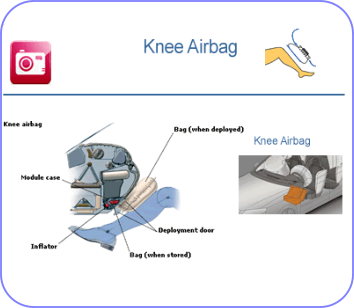 The knee airbag, located below the steering column, is readily available on luxury models or vehicles that are fully loaded. Some bolster airbags are designed to protect both the knee and foot. 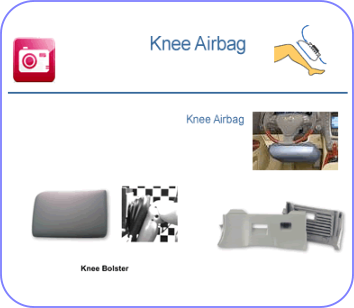 The knee airbag is a supplement to the seat belt tensioners and assist as additional protection to the driver.